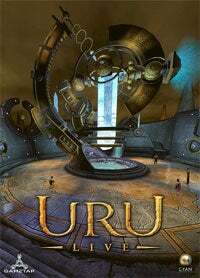 Myst Online: Uru Live has had somewhat of a difficult life. The online multiplayer component of Uru: Ages Beyond Myst never made it out of the beta testing phase before being canceled in 2004. Then in 2006, Turner Broadcasting's GameTap service revived Uru Live, officially launching the game in February 2007 only to discontinue operation a year later. Now GameTap has given the publishing rights for the game back to Myst creators Cyan Worlds, who plan to relaunch Myst Online later this year. Cyan president Rand Miller says that the newly relaunched game will include features that will allow players to create their own content, which was hinted at during the game's first relaunch. The revitalized title will carry a fee ($25 for 6 months was suggested) to cover the cost of maintaining servers. There's something to be said for tenacity, but I fear in this case that something is "Just let it die already."